The Red Tent Moon Lodge is a facilitated women’s group and sacred circle. Traditionally this was a time to gather around the New Moon. It was considered to be a time for women to come together to support each other, to feel nourished, connected and replenished. To sit quietly and meditate in a group of women, can be a life-enhancing experience. This is a good time to set your intentions for the upcoming month ahead and for any projects or ideas you might have. The theme for this Red Tent will be the Spring equinox, which represents new light and life, new beginnings, seeds and paths, as the light levels in the northern hemisphere increase all the way to the summer solstice in June. It is also a moment in time when nature is experiencing balance of day and night. 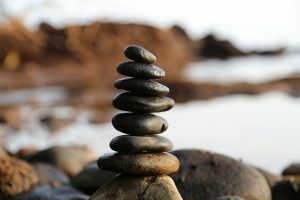 We will be exploring the theme of balance in your own life and what in your life you wish to nourish and bring energy to this spring and summer. The evening will consist of some meditation, a shared craft activity (no skills needed! ), and healthy tea and cake. There will be some space available to share your own experience if that feels right for you. Elaine Gibbons has been facilitating a Red Tent Moon Lodge for 3 years. She has been supporting women for over 25 years in her role as an acupuncturist specialising in pregnancy, fertility, menopause, gynaecology and attending women in childbirth. She has also completed a Red Tent facilitator training to enhance and focus her skills. This is a small supportive and friendly group. Maximum 8 spaces. Venue: Albourne village in a beautiful wooden cabin, with wood-burning stove overlooking rolling Sussex countryside. Directions given upon booking. Please select pay by PayPal below. Please make cheques payable to Elaine Gibbons Ltd and send to 35 Barnett Road, Brighton BN1 7GJ. Pay by cash – in full and in advance. Please contact me to arrange to pay by cash.